Bosch prides itself on creating practical devices that are designed for ease of use and will help make life simpler for its customers. 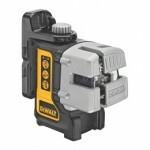 From power tools to laser measurers, there are a wide range of different products that are offered by the company that manufactures tools that are suitable for home use as well as in the commercial arena. One of the greatest advances in technology, as far as tools for professionals go, is the laser measurer. Able to measure more accurately than standard tape measures and longer distances, they are becoming increasingly indispensable with budget and deluxe models available, it can be difficult to know which laser measurer is best to purchase. 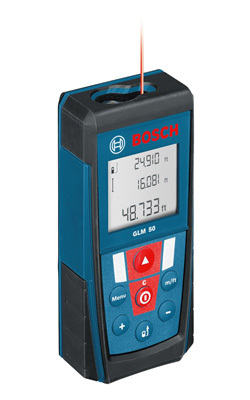 You can store up to 30 measurement modes and result in the Bosch GLR825 which means you don’t even need to carry around a pen and paper in order to record the results of your measurements. This means that it becomes a lot easier to measure up sites when quoting for jobs and you don’t have to re-measure distances because you can’t read a digital or the paper you are writing on has gotten wet and the ink has run. 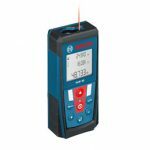 There is a built in bubble level in the Bosch GLR825 Laser Measure so that you can be sure you are getting accurate readings on level lines. This also helps if you are using it to measure up for driveways. If the driveway is flat and not intentionally sloped, the bubble level in the Bosch GLR825 Laser Measure can give you also tell you if there is a subtle or hidden slope or even if the driveway is sinking in places without needing to carry around a separate bubble level. The optics in the Bosch GLR825 Laser Measure are superior to other laser measures as it has an integrated 1.6x magnification view finder so that when you are doing long range measurements, you can see the end point much more clearly and be sure that you are getting an accurate measurement. For those who are still loathed to give up their traditional tape measures in favor of a digital laser measure, there are a few features that the Bosch GLR825 Laser Measure can boast that may change your mind. Firstly there is a minimum/maximum measurement mode that lets you take really accurate measurements from fixed reference points for the shortest/longest distance. This is something that is really useful for measure diagonals and plumb lines. The display on the Bosch GLR825 is large, making it easy to read the measurements and use the different functions and features, much easier than trying to read the tiny numbers of a tape measure. The display is also illuminated so that even in bad lighting conditions you will always be able to read the display easily. Length – standard measurements that you can take with a tape measure. Area – The laser measure will calculate the area of whatever you are trying to measure so you don’t have to spend time measuring lengths and calculating the area yourself. Volume – Like the area measurement, the laser measure with calculate the volume of whatever you are trying to measure. Min/Max – As we have already seen, this allows you to take the shortest/longest distance measurements using a fixed reference point. 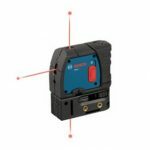 The other laser measure modes available on the Bosch GLR875 Laser Measure are continuous, single indirect, double indirect, indirect length, stake out, trapezoid and multi-surface measurements. 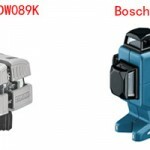 This makes the Bosch GLR825 a much more versatile tool that saves an awful lot of time when compared not only to the standard tape measure but also to other laser measures. 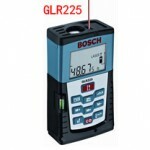 You can change the units that measurements are given in on the Bosch GLR825 Laser Measure too. 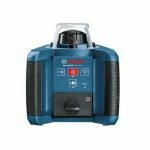 There is a particular downside to the Bosch GLR875 Laser Measure that may stop you from investing though. This being that the equipment is not very sturdy; after it has been dropped a few times it may stop working which can cause a lot of problems and the warranty may not cover the replacement unit. If you are working on a busy site or you know that it will have to be tough enough to cope with being dropped a few times then it may be worth looking at other models that are built to withstand a few knocks. If you still aren’t convinced – by using the Bosch GLR825 Laser Measure instead of a traditional tape measure, you won’t get hit by the tape measure rewinding itself and you don’t have to worry that the end will move whilst you are measuring and you don’t have to fight against the tape itself to get it to stay in position. 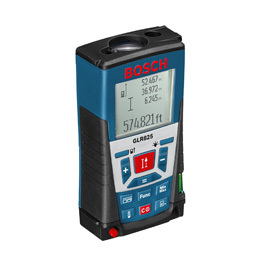 Using the Bosch GLR825 Laser Measure makes measuring any distance much easier, quicker and often, more accurate. Click here to purchase Bosch GLR825 on Amazon!